Since its debut in 1985, the Super Mario Bros. franchise has not only become a staple in the world of gaming but it has cemented itself in pop culture. 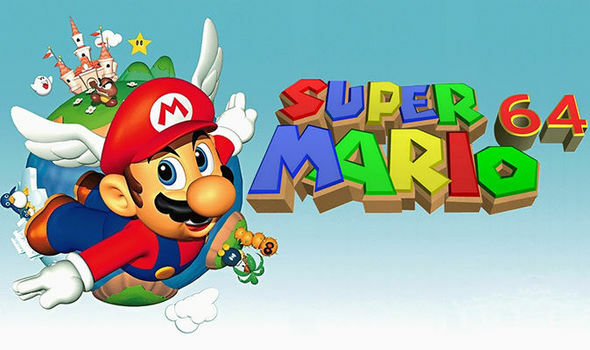 With games like Super Mario World, Super Mario 64 and Super Mario Odyssey, there is no way anyone can question the success of this beloved franchise. But if there are a particular set of Mario games that gamers have come to know and love very fondly, the 3D titles. These titles are drastically different than the 2D titles such as Super Mario Bros. and Super Mario World. The 3D titles are a way more open-world Mario experience and are truly in a league of its own. The 3D Mario genre started back in 1996 with the release of Super Mario 64 and continued its legacy with Super Mario Sunshine, Super Mario Galaxy, Super Mario Galaxy 2 and most recently, Super Mario Odyssey. But now that the dust has settled on what was without a doubt, my favorite game of 2017, Super Mario Odyssey. I think we can now fully look back at all of the five 3D Mario games we have been given over the past 22 years and see how each one of them stack up against one another. Now just a disclaimer, this list is based solely on my opinion and not on any sort of sales or critical acclaim. So with that out of the way, lets get to number five! The main appeal to 3D Mario games is the sheer openness of every world you are put into. You are able to explore every corner and it is what makes every 3D title so special. Super Mario Galaxy 2 takes away the exploratory formula for a linear experience. While it does not bog down the title entirely, it is what makes it the weakest on the list. Do not get me wrong, Super Mario Galaxy 2's level design, color scheme and gameplay are all still top tier in this outing. Galaxy 2 even has one of my favorite final boss battles in any Mario game ever. It is just really frustrating that each world you get thrown into just gives you one objective and gives you no reason to explore the area. While everything else does work in SMG 2, the linearity just really felt like a step back for the franchise. A 3D Mario title in space. It was absolutely everything that we never knew we wanted. Nintendo's goal with Galaxy was to reinvent the Mario franchise and they absolutely succeeded. Before Galaxy's release, it was no surprise that everyone was a bit hesitant with the over-reliance of zero gravity mechanics as it would take away from the true core meaning of Mario. But in the final product, the zero gravity actually made up for some unique game design that has never been seen in a 3D platformer before at the time. It provided for epic boss battles and helped make the open worlds feel even more open. What took the game even further, was its bombastic score, which can easily go down as one of the best themes ever heard in gaming. The Galaxy series has always been held to a high standard and it deserves every ounce of respect that is given to it. The top three on this list were an extremely hard decision and in a way it pains me to put 64 in the middle of the pack. From what it seems with most Mario titles, it really rely's on nostalgia. Which Mario game did you grow up playing the most? Whichever one it was, is going to be the one that is going to stick with you forever and unfortunately 64 was not that Mario title for me. But I can never deny the greatness that this game beholds. Super Mario 64 packs some of the most unique and lovable worlds ever created in a Mario game. Bomb-Omb Battlefield, Jolly Roger Bay and Cool, Cool Mountain are just a few of the standout worlds, all with them having phenomenal scores to boot. Plus, roaming through Peaches Castle to travel from world to world is still one of the greatest landmarks in gaming. Super Mario 64 is one of the most important Video Games of all time, if not the most and there should always be a line of respect for it no matter what type of gamer you are. Super Mario Odyssey is every Nintendo fanboys dream. Not only was it the first true 3D Mario in 15 years, but it provided us with the most glorious and lovable Mario worlds to date. Kingdoms such as Cascade Kingdom, Luncheon Kingdom and Metro Kingdom truly make up Odysseys phenomenal theme of world travel. What also puts Odyssey in a league of its own is with its abundance of objectives. Odyssey has over 999 Power Moons to collect, which honestly might seem like a bit of a grind at first. But with Odysseys fluid controls, beautiful graphics and spectacular level design it becomes more way more of a joyous play through than an ongoing grind. Like I said with Super Mario 64, your preferred Mario game all depends on what you were most connected to growing up. Super Mario Sunshine was that game for me. It all started in the Christmas of 2002 when I was gifted a Gamecube along with Super Mario Sunshine. That whole winter break I was engulfed in every ounce of that game. It was the first video game that I truly fell in love with. I was immediately taken away by the bright and colorful hub world of Delfino Plaza and every world that inhabited it. Every world that lived in Sunshine felt like it belonged in that game and only that game. With 64, while the worlds are great on its own, I feel like you could take some of those lands into Odyssey and it would not make that much of a difference. With Sunshine, the worlds feel like they only belong in Sunshine. There are numerous breath-taking levels like Hotel Delfino that has one of the most beautiful sunsets in gaming. Or, Ricco Harbor which has platforming around it that has never been seen before in a Mario game. Sunshine also packs in some truly epic boss battles, with the the first fight against Petey Piranha being my favorite. Of course, Sunshine gets a lot of criticism for not being a true Mario game, due to the help of your companion F.L.O.O.D. This mechanic allowed you to navigate through certain platforming objectives easier. And while that is a valid point, that is what makes Sunshine so much more original and different from the others. Sunshine was the first Mario game to actually have an interesting plot. Mario getting framed for a crime while on vacation and having to prove to everyone that he is innocent? It might sound a bit wacky, but sign me up! It is the little things about Sunshine that truly make it stand out from the rest. Super Mario Sunshine will always have a special place in my heart and it is by far my favorite 3D Mario game of all time. I hope you guys enjoyed my list! Make sure to let us know where how you would rank the 3D Mario titles down below!